Our MOT Your Home initiative intends to help homeowners introduce energy efficiency measures into their homes. 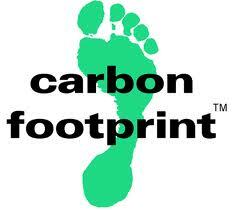 By taking on board this advice they will be able to help the country reduce its carbon emissions. The initiative is backed by TV architect George Clarke and is often referred to on the Pilkington Glass blog. A full overview of the initiative can be viewed here. Alongside the need to upgrade existing homes to become more energy efficient, there are also a number of new ‘green’ homes being built in the UK that are designed with energy efficiency at their heart. 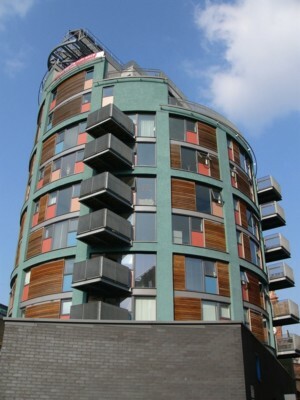 A prime example of this new wave of sustainable building is the ‘Green Building’ an 11 story apartment tower in Manchester that is situated at the centre of the development of Macintosh Village, a once abandoned industrial area of the city. Completed in 2005 the ‘Green Building’ is constructed entirely of environmentally friendly materials and also features numerous technology solutions, including energy efficient glazing, which reduces the building’s carbon emissions. Taking advantage of the circular shape of the building there are large, triple glazed thermally efficient windows on the south side to maximise energy yields from sunlight, while smaller windows on the north face avoid unnecessary heat loss. By using thermally efficient glass in this way the ‘Green Building’ is able to ensure optimal energy efficiency levels are met. Pilkington Glass provides glazing solutions that can improve the energy efficiency of a home in a similar way to the performance of the glazing on the ‘Green Building.’ The Pilkington energiKare™ range features four different energy efficient glass products that can be incorporated into a home to help reduce its carbon emissions. The full range features Pilkington energiKare™ Classic, Pilkington energiKare™ Plus, Pilkington energiKare™ Triple and Pilkington Spacia™ glass (formerly Legacy). These products can cut the amount of heat that is lost through the windows in a home by up to a staggering 75 per cent, so it’s clear that energy efficient glass can play a key part in helping the government and the British public reduce the country’s carbon emissions and meet the targets set by the coalition come 2025.